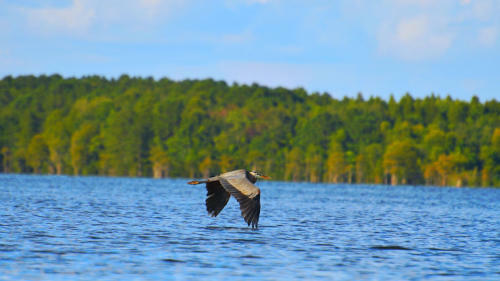 Glide through aquatic gardens, wildlife management areas and cypress swamps on the calm waters of Lake Moultrie and Lake Marion. 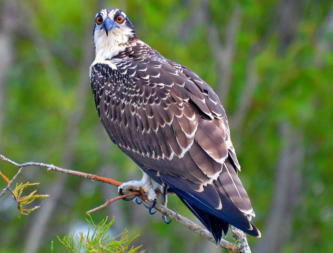 Marvel at bald eagles and osprey nesting on lake islands with sandy beaches. 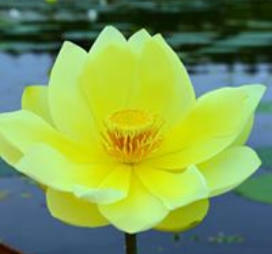 Explore hidden coves where wood storks, herons and egrets linger in water lilies and lotus flowers. Reflect on the triumph and tragedy of those who lived and worked in a by-gone era of historic church ruins, lumber kilns and flooded towns. 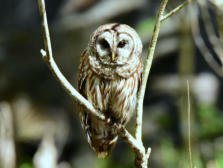 The Nature Lovers tour is the favorite for flowers, osprey and eagles while the Church Island tour is favored among history buffs. 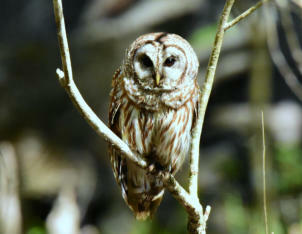 The Scenic Rivers and Lake Moultrie tours are cloest to Charleston, Summerville and Moncks Corner. 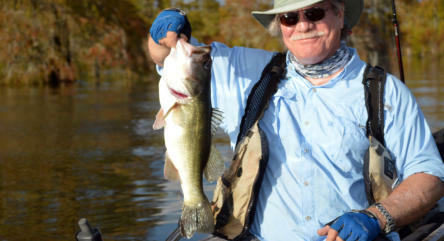 Lake Marion, being the largest lake in South Carolina, has tours close to Summerville, Moncks Corner, Santee, Sumter and Manning. Kayaking with a large group is a ton of fun! Churches, meetups, clubs, scouts, businesses, wedding parties and family reunion groups love our personalized service, discounts and location variety. 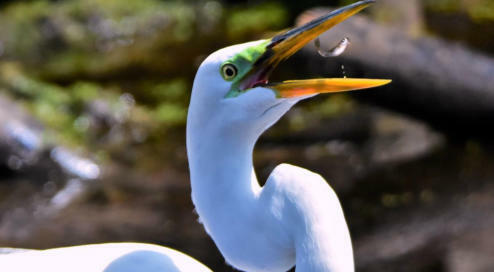 Most popular is the Nature Lover’s tour on Lake Moultrie with its island break for lunch, swimming, exploring and kicking back watching Osprey and Eagles. 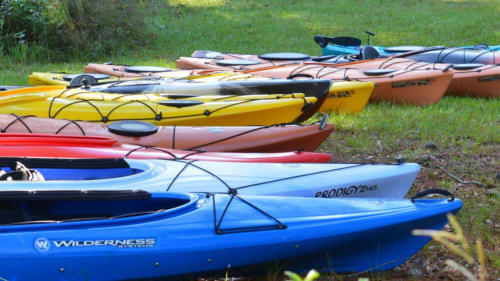 Guided kayak, swamp and nature tours are offered in several location from the Charleston lowcountry to below Sumter, South Carolina. 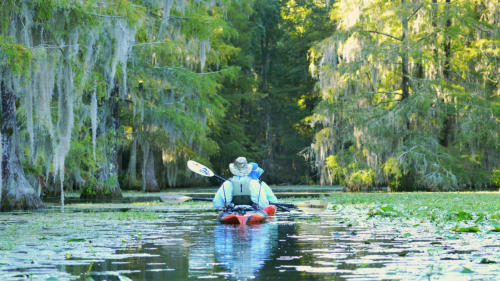 Blackwater kayaking on the Ashley, Cooper and Santee Rivers feature cypress swamps, rice fields, limestone bluffs, sprawling oaks, flowers and birds. Revolutionary war history is around every bend including Francis Marion’s last battle site. 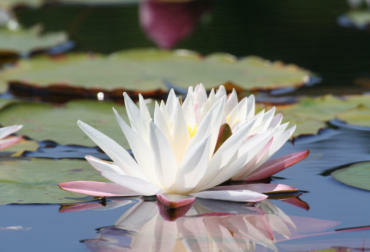 Wadboo Creek’s Twice the Fun tour has something for all - combining swamp, marsh, wildlife, flowers and history. We’re often asked what is our “must-see” destination. It’s definitely Lake Marion’s Sparkleberry Swamp! Wildly popular among international and domestic visitors with its moss-draped cypress trees, 150 birds species and diverse eco-system. 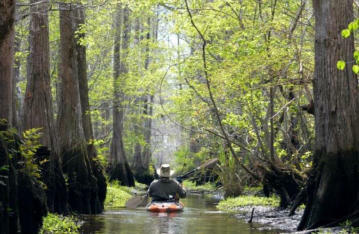 Sparkleberry Swamp is considered to be one of the most beautiful swamps in South Carolina. 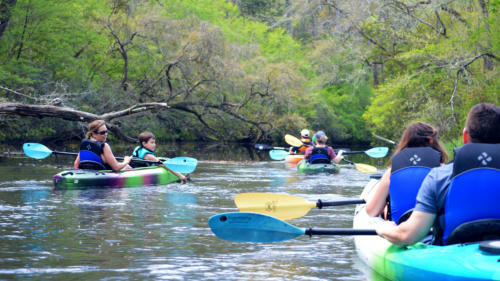 Discover Charleston blackwater kayaking for a new experience where calm waters are easy to navigate and stunningly beautiful. 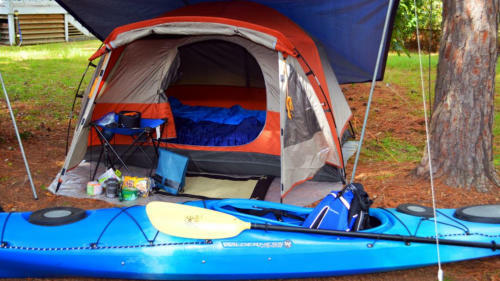 Explore water wonderlands on relaxed paced kayak tours designed for all. 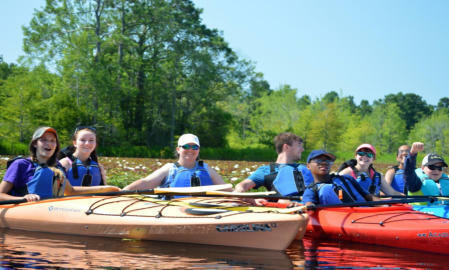 First-time kayakers welcome! 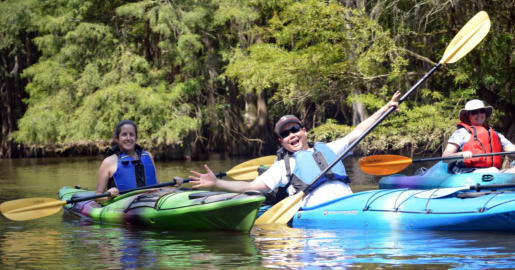 Laugh and have fun with our master naturalist as he guides you through exquisite cypress swamps, scenic rivers drenched in revolutionary war history and acres of vibrant flowers on sheltered lake kayaking trails. He’s likely to throw in a tall tale or invite you to sample edible nature! 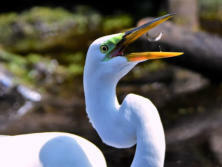 Join the excitment of spotting eagles, osprey, owls, herons, storks and other incredible wildlife on fascinating excursions. 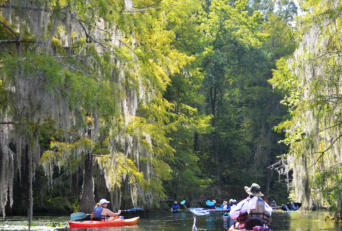 Experience the “ WOW” of blackwater kayaking! Churches, scouts, meetups, clubs, businesses and family reunion groups love our personalized service, discounts and location variety. The Nature Lover’s tour with its island break for lunch, swimming, exploring, eagles and osprey is a group favorite! Call 843-697-2812 for details and rates. 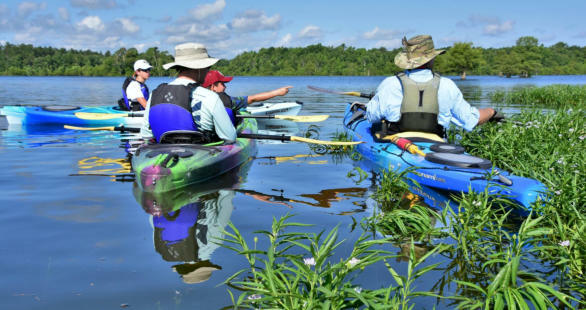 Guided kayak, swamp and nature tours are offered in several locations from the Charleston lowcountry to below Sumter, South Carolina. 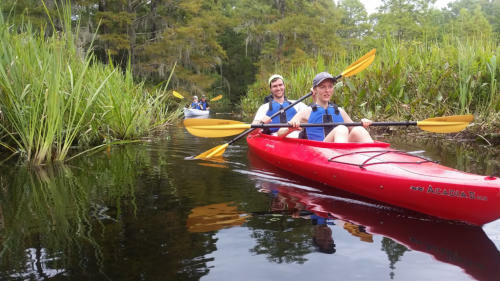 Blackwater kayaking on the Ashley, Cooper and Santee scenic rivers feature cypress swamps, rice fields, limestone bluffs, sprawling oaks, beautiful flowers and wading birds. History is around every bend including Francis Marion’s last battle site. 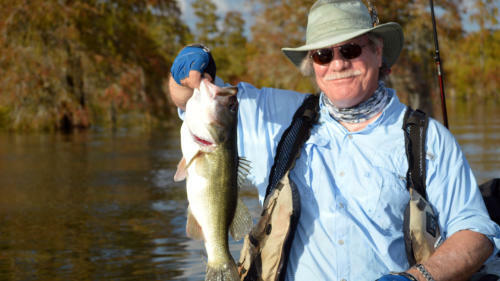 The Twice the Fun tour has something for all combining swamp, marsh, wildlife, flowers and history in one exciting adventure. We’re often asked what is our “must-see” destination. It’s definitely Lake Marion’s Sparkleberry Swamp! Wildly popular among international and domestic visitors with its moss-draped cypress trees, 150 bird species and diverse eco-system. Sparkleberry Swamp is considered to be one of the most beautiful swamps in South Carolina. 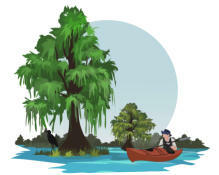 The Scenic Rivers and Lake Moultrie tours are closest to Charleston, Summerville and Moncks Corner. 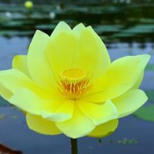 Lake Marion tours are closer to Santee, Sumter and Manning.